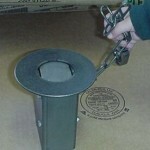 PRODUCT DESCRIPTION: Raccoon leghold trap which takes advantage of a raccoons natural curious behavior. 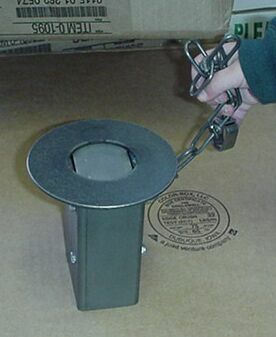 Unlike standard leg hold traps, this one works with food as the main attractant. The trap is placed in a hole in the ground which one digs. Since raccoons will regularly dig seeking more food the targeted animal will unknowingly be digging into the trap which will get him caught. WHERE TO USE IT: In the yard where raccoons are active and foraging or digging. RATE OF APPLICATION: Like most traps, the more which are set out the better and quicker you will expect to get results. Unlike standard leghold traps, you don't need to have several set up at one location. Instead, making more sets apart from each other is generally recommended. Raccoon Cuffs and how to use them.